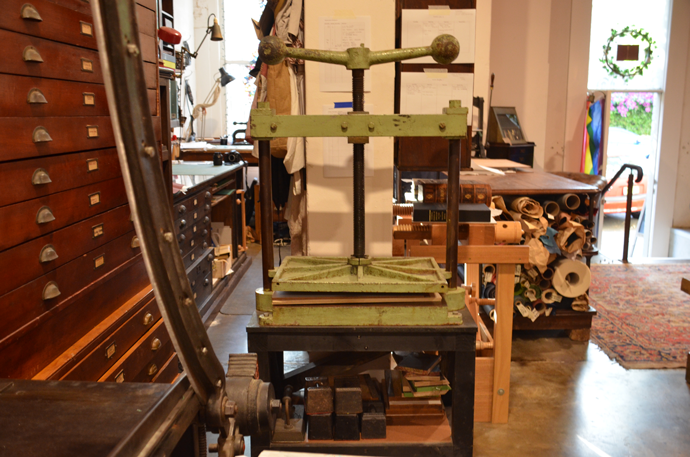 This year is going to be wonderful in Sydney with the “Bind 19” Australian Bookbinding Conference on in October and in conjunction with this Andersen’s Bindery will be organising the workshops provided by some of the international speakers/demonstrators. In the following blogs I will be telling you a little about each of these amazing bookbinders. Follow the link to our website to read a little more right now if you simply can’t wait. We will be running classes in Victorian Account Book or traditional Spring Back Binding with Dominic Riley, Paste Papers & their History with Michael Burke, Sacred Binding & Clip on Cover conservation bindings with Kathy Abbott, the very precise Edelpappband Binding with Dieter Räder, and straight from Windsor Castle the Royal Archives Letter Folder with Philippa Räder. We are so lucky to have binders of this caliber come all the way to Australia for our conference you would be mad not to take the opportunity to do one or as many classes as you can. Our product range is always expanding and we have some wonderful new products arriving this year, some things you need, some things you want and some things you simply cannot live without. If you have products you would like but can’t find on our website please let us know, if you are not sure how to use any of our products or would like some advice send us an email and we may be able to cover the subject in “Tips & Tricks”, we would love to hear from you.